﻿Acute brain injury is one of the leading causes of death and disability worldwide, whether it is due to stroke, traumatic brain injury or sudden cardiac death. Globally, it is estimated to cost over $330 billion, over 5% of total healthcare costs. Current treatment protocols include on-site resuscitation, before emergency treatment at the hospital. Once in the hospital, therapeutic hypothermia, or target temperature management, is a standardized method used to improve neurological results. It decreases excitotoxicity, limiting inflammation, preventing ATP-depletion and reduce free radical production to avoid apoptosis. However, already 8 minutes after trauma the brain can get irreversible impairments, highlighting the clinical challenges of treatment and its significant impact on socioeconomic factors. The Italian startup Neuron Guard has developed a portable thermoelectric-operated collar, which refrigerates the neck area. 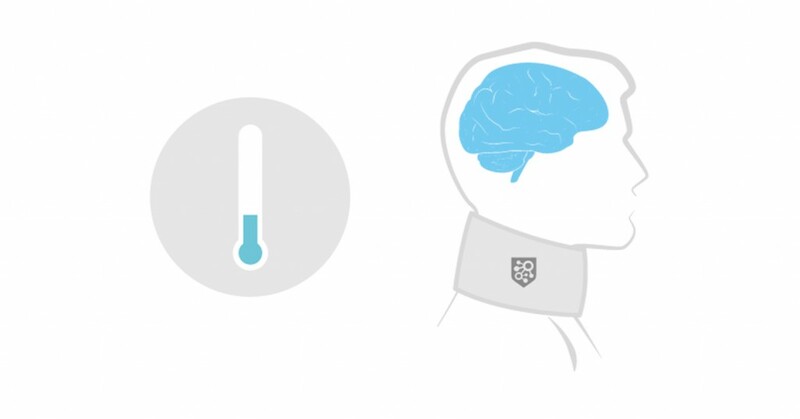 The collar cool the blood flowing to the head and consequently lowering the temperature of the brain and reducing the extent of cerebral damage. The collar is controlled via an external unit that regulates the cooling/heating speed of the device, as well as infusion of anesthetics. Additionally, the control unit store all measurements and data gathered, improving the standard of care. The innovative device does not change current treatment guidelines, but make sure that treatment can be started directly at the site of event to minimize potential brain injury. In addition to its life-saving potential, it is estimated that the device is able to reduce costs associated with treatment of acute brain injury by around 30%. If you add the potential savings of rehabilitation needed after injury, the device could also significantly reduce additional costs associated with brain injury. The device is currently in clinical testing, and the company has filed for patents in USA, Canada, Europe, Australia, New Zealand, Israel, UAE, Qatar, China, Russia, Brazil, India, and Japan. They are now looking for investors to raise funds to market the device.